When you get off the ferry at Mui Wo on Lantau Island to the right is a huge bike parking area... where's my bike! The Chi Lin Nunnery in Diamond Hill is a must visit for anyone coming to Hong Kong and it looks good on a sunny day! The lady was my client, she is holding I reckon HK$500,000 which had just been withdrawn from the bank account of the chap at the right of the image, he was dancing a jig in the street after winning it at the races! Right place, right time and right camera setting... an interesting image of a ghost train! 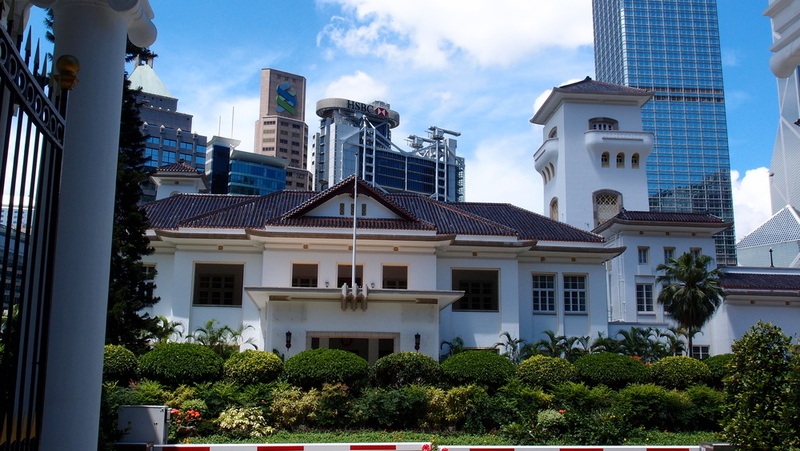 Bought by the Government 4 years ago, refurbished but still NOT open on a daily basis to the Public - this is the King Yin Lei Mansion on Stubbs Road on the Island, English architect by the way! I imagine this scene is played out in all cities, citizens using their smart phones, nobody talks anymore! Despite many emails from me, the Government Department responsible for this embarrassing sign have still not modified / replaced it - idiots! The Blue House located at Stone Nullah Lane in Wanchai and legend has it the families living in there use buckets as toilets and pay an old codger to remove the waste every day! Like most people I have a thing about spiders so I went looking for the Golden Orb spider, I found a family of 5, they are huge and poisonous but absolutely gorgeous and they are everywhere, just lurking. Image number 657,875,365,188 of the Star Ferry. It is simply iconic and a wonderful way to spend 8 minutes. 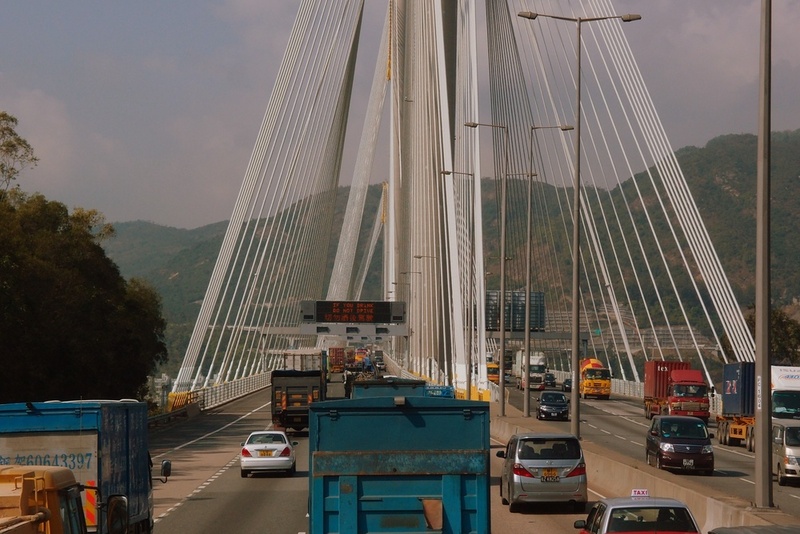 As a visitor you probably will not get to cross the Tsing Ma bridge in the New Territories, pity, it offers some splendid views as you cross it. Quite simply the greatest city view in the world and yes, I am biased. Posted on June 26, 2013 by Jamie Lloyd and filed under The Essentials.